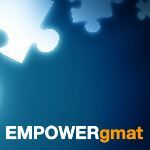 I gave my gmat exam today! Am very disappointed and depressed with the result! I was shocked to see the result on my screen. It was 590 (V 25, Q 47)(when I thought quant is going really well, but got this, wow) , I have never scored this low in any of the mocks, not even manhattan! I was targeting at least a 680 and focusing on ISB. But now I feel like giving up on this dream. Its a heartbreaking score making me doubt on my capabilities and capacities. Sorry to hear this, Neha! A couple of extra points in Quant would not have made a world of difference, but verbal killed your overall score. I suggest you to write down everything you remember about the test asap - the kind of questions, the ones you found hard, the RC passages that seemed confusing etc. The more you wait to do this exercise, the less you will be able to recall. Thereafter, take a break of a week to recharge yourself. Meanwhile, get hold of your ESR and find out the areas in which you are lagging. That will help you create a study plan for the upcoming months. What was your average practice test score and split? ...You were getting a significant number of questions wrong because of silly/little mistakes - so I have to assume that that's what happened on Test Day too. GMAC has publicly stated that the Official Score that you earn on Test Day is within +/- 30 points of actual ability. Assuming a similar 'swing' in how your CATs function, your various score results point to a general ability level in the low-600s (with a 'low end' of about 590 and a 'high end' of about 640). Given your score goal and first-choice School, a retest will be a 'must.' Unfortunately, it's going to take some significant time to raise this 590 up to a 700 - likely at least another 2 months of consistent, guided study. There's no reason to give up on any of this though; an MBA is almost certainly worth all the effort that you'll have to put in to achieve it - and this is just one 'stumbling block' that you CAN train to get past. 1) What are the Round 1 and Round 2 application deadlines for ISB? 2) Are there any other Schools that interest you? I also want to know whether there is any difference between admission acceptance rates of R1 and R2 for ISB.